Trump tried to “limit the scope of the investigation.” He tried to discourage witnesses from cooperating with the government through “suggestions of possible future pardons.” He engaged in “direct and indirect contacts with witnesses with the potential to influence their testimony.” A fair reading of the special counsel’s narrative is that “the likely effect” of these acts was “to intimidate witnesses or to alter their testimony,” with the result that “the justice system’s integrity [was]threatened.” Page after page, act after act, Mueller’s report describes a relentless torrent of such obstructive activity by Trump. The investigation that Trump tried to interfere with here, to protect his own personal interests, was in significant part an investigation of how a hostile foreign power interfered with our democracy. If that’s not putting personal interests above a presidential duty to the nation, nothing is. Only 39 percent of voters surveyed in the new poll, which was conducted Friday through Sunday, approve of the job Drumpf is doing as president. That is down from 44 percent last week and ties Drumpf’s lowest-ever approval rating in POLITICO/Morning Consult polling — a 39 percent rating in mid-August 2017, in the wake of violence in Charlottesville, Va.
Only 34 percent of voters believe Congress should begin impeachment proceedings to remove the president from office, down from 39 percent in January. Nearly half, 48 percent, say Congress should not begin impeachment proceedings. Most notably, independents are split, 39 percent to 37 percent, on whether Congress should keep investigating — but just 31 percent of independents support beginning impeachment proceedings, compared with 44 percent who oppose impeachment. But many voters appear confused about what Mueller found in his report. Two in 10, 20 percent, say Mueller found that Drumpf obstructed the investigation, while 16 percent say Mueller found that he didn’t. A plurality, 37 percent, say correctly that Mueller did not make a determination on whether Drumpf obstructed the investigation, but 27 percent are unsure. Badly redacted searchable PDFs have occasionally revealed embarrassing secrets. A court filing in a Facebook lawsuit left text selectable under some hastily drawn black bars, and the Proud Boys extremist organization accidentally revealed its leadership with the same technique. Professional redaction software can prevent this, however, and the PDF Association post notes that an untagged and unsearchable PDF could violate the Justice Department’s accessibility rules for people with disabilities. Since this is the PDF Association, there’s a detailed explanation about why the format is great and why “no one would have even suggested a Word file, or a set of TIFF images, or a website, or an XPS file, or EPUB, or plain text.” The short answer is that PDFs preserve the original text and formatting of a document, they can include clear redaction, and they are supported by many platforms. “PDF is the only document format capable of carrying the cultural and technical requirements for important communications in the modern age,” the post says. The suggestion that PDF is superior to any other digital format depressed my expectations on why I would have preferred an ePUB edition. It would've been better for my eReader, on which I was going to read the report until the paperback edition was released. DAmn you, PDF association! Drumpf has never hidden his hostility toward what he’s styled a “witch hunt” carried out by partisan and venal prosecutors. But many of the president’s efforts to fight back were made public for the first time on Thursday, and all of them appear to have been aimed at allaying Russia-related press scrutiny and federal investigations. Over and over, Drumpf pressed underlings to pass messages to those who might damage him and to exert influence over investigations, often without success. At one point, in July 2017, Drumpf gave instructions to his former campaign manager, a private citizen running a lobbying firm, for firing his attorney general. Those instructions were ignored. The president also made his wishes clear in conversations with Dan Coats, the director of national intelligence, and with Comey. “I have been very loyal to you, very loyal, we had that thing, you know,” Drumpf reminded Comey in April, an apparent reference to their dinner table talk of loyalty. Comey never made any public statements clearing Drumpf. Read on. Enough of the quoted chapters. Hope Hicks is one of the Trump saffers who most of us seem to have forgotten about. And to be honest, what kind of role might she have had, she was the Communications Director, if I remember correctly (and I am not going to look it up now), but was she also affiliated to Trump's campaign? And what about the secret Seychelles meeting Mueller had reportedly been gathering evidence on? There was a meeting on the Seychelles? Damn, how much did I miss? There are many things I must have missed throughout the Trump investigation. In case this may be the same for some of you, too, there are further articles on it. Although Mueller didn’t find enough evidence to charge President Donald Drumpf for conspiring with Russia to win the White House, and Attorney General William Barr has concluded that it doesn’t show Drumpf obstructed justice, the report itself is expected to be rich with details uncovered by the sweeping 22-month investigation. But he said he’s taking comfort in knowing Barr, a Drumpf appointee, has already read the report and decided nothing in it rose to the level of prosecution. "At the end of the day, it's like waiting for the jury verdict, except you know what the jury verdict is already," he said. At least it will not be a kafkaesque experience, where you neither know whether you will receive the verdict, nor know what it says. This would be the downside of the iceberg. You'd better read the Scaramucci section as well, assuming that there'll be such a section. As with Papadopoulos, he's a short-lived Trump aide who happens have written a book about it. Please mind this once the report has been released. Of course the media on both sides of the aisle will go crazy like stray dogs on piles of ecstasy. You'd better listen to the thoughtful journalists who read through it carefully and afterwards analyse what they have just read. No need to hurry for it. Who told on Trump? Was Barr’s summary accurate? What about that other Trump Tower meeting? Mueller knows all—if only Barr will let him reveal it. Giselle says her father languished there for three months without his diabetes medication. Now, she says, the guards give it to him at odd times during the day and night. And, she says, ICE agents took his eyeglasses so he can't read legal documents or write letters. The facility — run by a federal contractor, GEO Group, a for-profit company based in Boca Raton, Fla., that runs private prisons — has a troubled past. During an unannounced visit last year, federal inspectors from the Department of Homeland Security's Office of the Inspector General found "nooses" made out of bedsheets in 15 out of 20 cells. The inspectors found that guards overlooked the nooses even though a detainee had died by suicide using a bedsheet in 2017 and several others had attempted suicide using a similar method. The government audit concluded GEO Group guards improperly handcuffed and shackled detainees, unnecessarily placed detainees in solitary confinement and failed to provide adequate medical care. The alleged cases documented in the most recent report by Disability Rights California, a watchdog group with legal oversight to protect people with disabilities in the Golden State, are grim: detainees slitting their wrists; discontinued medication for depression; and ignored requests for wheelchairs and walkers. At least one detainee said that guards pepper-sprayed him when he did not stand up and a second time while he tried to hang himself. The fact of the interference itself had been long established, and last month Attorney General William Barr told Congress that Mueller did not find that Drumpf's campaign was involved with it. Democrats say they can't be sure Barr isn't providing political cover for Drumpf, pointing to skepticism he voiced about Mueller's inquiry before he was nominated to be attorney general. Drumpf's opponents say they can't be sure what to make of Mueller's findings until they see the findings firsthand. The FBI and Justice Department conducted surveillance of Drumpf's campaign in 2016 as they investigated the election interference. What Republicans have charged since is that some officials may have abused their powers and violated the rights of at least one American. Though seemingly unrelated, the two cases, legal experts say, showcase how threads from the Mueller probe could continue to yield new evidence and even more charges for months, if not years, to come — tied to everything from Russian interference in the 2016 election to the hush-money payment scheme Donald Drumpf’s campaign designed to help sway the last White House race, from the fundraising for Drumpf’s 2017 inauguration to unregistered foreign lobbyists working in the U.S. Still, Miller said he does expect other U.S. prosecutors will try to question Assange on the Russian hackings that upended the 2016 American presidential election. “But they probably assume he’s not likely to be cooperative, and if he is, they can bring a case through another office,” he said. And so, the circle closed, it can be tied back to Mueller. Splendid! Craig had prepared a report concerning Ukrainian President Viktor Yanukovych's jailing of one of his political opponents, former Prime Minister Yulia Tymoshenko. The report was meant to be used by President Donald Drumpf's former campaign manager Paul Manafort, who had been lobbying for Yanukovych at the time, to defend the former president. Craig would be the first current or former Democratic official to be indicted as a result of the Mueller investigation, which ended last month. "Mr. Craig is not guilty of any charge and the government's stubborn insistence on prosecuting Mr. Craig is a misguided abuse of prosecutorial discretion," the statement said. Senate Minority Leader Charles Schumer (D-N.Y.) accused Barr of "perpetuating conspiracy theories" during his testimony before the Senate Appropriations subcommittee. The hearing was scheduled to discuss the department's budget but ultimately was dominated by questions about special counsel Robert Mueller's probe. Barr told senators on Wednesday that he was looking into the FBI's investigation of members of Drumpf's campaign and that he believes "spying" took place. Please highlight that he believes it, meaning he has no ground on this allegation. Therefore, he rather spreads a conspiracy theory, although we, on the other hand, didn't have any major evidence that let us believe Russia interfered into the US election, let alone cooperate with Trump's electoral campaign. This was the reason why we demanded an investigation into his campaign, which now led to the gridlock of the report's publlishing, in the redacted edition that will only proliferate more rumours. Way to go to repossess credibility, Mr. Barr. Barr told senators that “I think spying did occur” in the Drumpf-Russia investigation conducted by (among others) the Justice Department and the FBI during the 2016 presidential campaign. “The question,” Barr elaborated, “is whether it was adequately predicated.” Because “spying on a political campaign is a big deal,” he explained that he would undertake an internal review, focusing on what the original rationale was for the spying. Did he also emphasise on what evidental ground he had to believe that spying did occur on the Trump campaign? I mean, he possesses the Mueller report as one of the only people in the political circus (beside (fmr.) Deputy AG Rod Rosenstein, Mueller and his team. 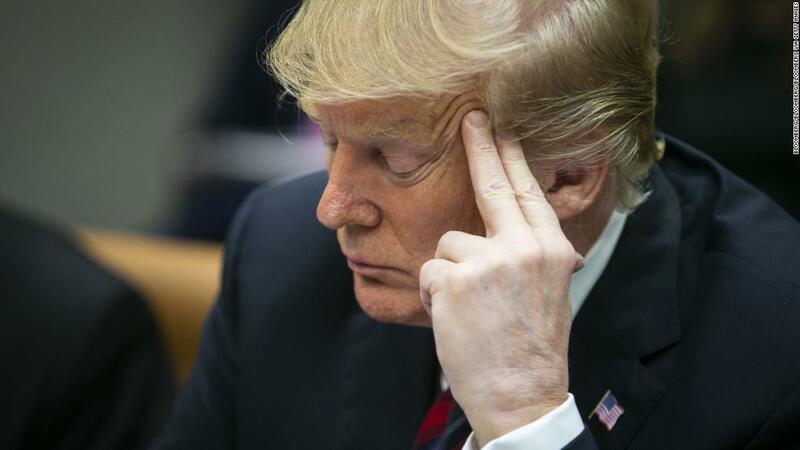 Trump, as he said, could read the report, but didn't, because he's a semi- to illiterate who struggles to read a full page without losing concentration immediately). Maybe he has got more information on any event of espionage on the Trump campaign than we currently have. Alas, we are dealing here with the Obama administration directing an investigation of the campaign of Donald Drumpf. No, we are dealing with a Trump administration investigation commenced by the Deputy AG Rod Rosenstein, subsequently concluded due to opinions on a probable election meddling by a foreign power, likely Russia. This has got nothing to do with Obama, in spite of your flamboyant hopes to relate it to him. Calm down, Andrew, no need to ignite your readership. What is “appropriate” is dictated by the circumstances. This is a much-misunderstood principle. The fact that the opening of an investigation may be justifiable does not, by itself, justify all investigative tactics that might be used. Yet, who decides on what kind of circumstances have to be experienced that would permit certain tactics? Who is the overall ruler to lay aground the permissible tactics? I guess this is up to the DOJ, but feel free to prove me wrong and suggest thereby a more appropriate response. Moreover, if spying is to be conducted under the Foreign Intelligence Surveillance Act, then FISA must be followed. To conduct FISA surveillance of an American citizen suspected of being an agent of a foreign power, there must be probable cause that the American citizen is knowingly – not unwittingly – engaged in clandestine activities on behalf of the foreign power; and those clandestine activities must be a probable violation of federal criminal law. In his testimony Wednesday before a Senate Appropriations Committee subcommittee, Attorney General William Barr made statements that were so clearly correct, they should be no more controversial than asserting that the sky is blue. The fact that they are causing consternation is what should alarm people. "In order to ask Special Counsel Mueller the right questions, the Committee must receive the Special Counsel’s full report and hear from Attorney General Barr about that report on May 2. We look forward to hearing from Mr. Mueller at the appropriate time," Nadler added. In a series of tweets, Drumpf — who until recently had said he had no problem with the release of the full report by special counsel Robert Mueller into Russian interference in the 2016 election — cited the views of commentators questioning whether Democrats should have access to it and claiming that they were trying to weaken Drumpf politically. The mental rollercoaster has spoken to us. Now bow before him and his mental stability, you unworthy filth! In one tweet, Drumpf quoted Katie Pavlich, editor of Townhall.com, saying that House Judiciary Committee Chairman Jerry Nadler, D-N.Y., was “not entitled” to the full report and underlying documents produced by Mueller, who investigated whether the Drumpf campaign coordinated with Russia in 2016 and whether Drumpf sought to obstruct the probe. Stop circumventing my orderly process, ye crooked Democrat! The Department of Justice said in its response to a transparency group's Freedom of Information Act complaint that the court shouldn't "circumvent this orderly process" of Attorney General William Barr's plan to release a redacted version of the report in the coming weeks. Justice Department lawyers even note that the timing of Barr's planned release of a redacted version of the report is well before politically charged dates, such as Barr's possible testimony to Congress in May, and the 2020 primaries and general election. 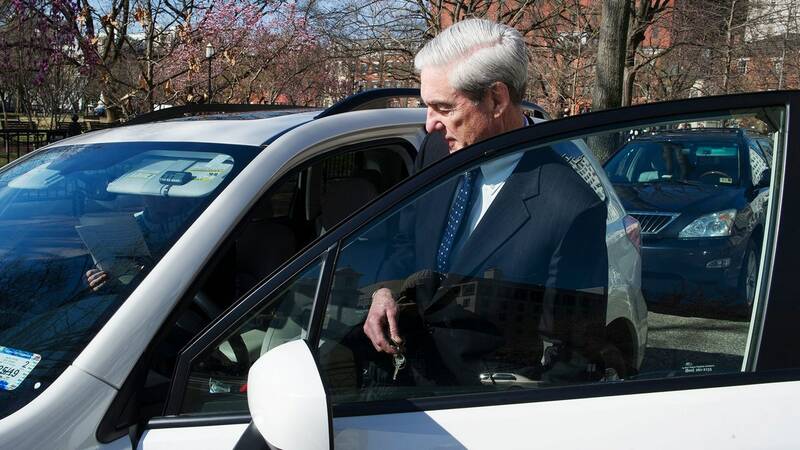 The Justice Department on Friday hit back at the first lawsuit seeking the full release of special counsel Robert Mueller's report on Russian interference in the 2016 election, saying, in essence, that they're already working on it. 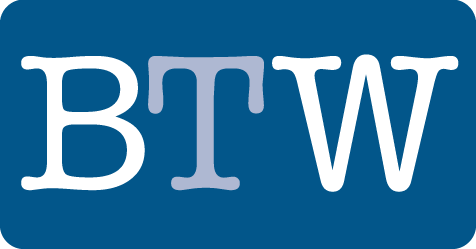 The usual terms that are used for sources who would like to not be named directly regarding their safety and any consequences that could follow subsequent to their whistleblowing of inconvenient information, or however you would like to call this kind of information. I'm going to wait until someone goes on the record or provides evidence to back up what these unnamed “government officials” suggest. That's based on the press' lousy track record of such anonymous Mueller bombshells, which previously guaranteed prosecutions or even impeachment. No need to be so salty about this probable bombshell report on Mueller's team. In the end, we all sit in the same boat, waiting for the Mueller report to finally be disclosed to both Congress and the public, to reveal what is on all of these anonymous statements and the evidence on a Russian collusion and the exoneration of Trump. We are all standing at a rotunda screaming on each other while no-one knows what lieso n the rotunda. It's like arguing about a giftbox everyone pretends to know what's inside, while actually no-one knows it. Meanwhile, Mueller himself has not disputed Barr's assessment. And Mueller has gone on the record before to refute mischaracterizations of his team’s findings. If Barr has undersold the special counsel’s investigation, Mueller has picked a funny time to go silent. He was silent all the time! There are barely encounters of him speaking publicly about anything. Almost no-one knows how his voice sounds, not even his wife recounts his voice! He didn't go silent this time, he never spoke up about anything. 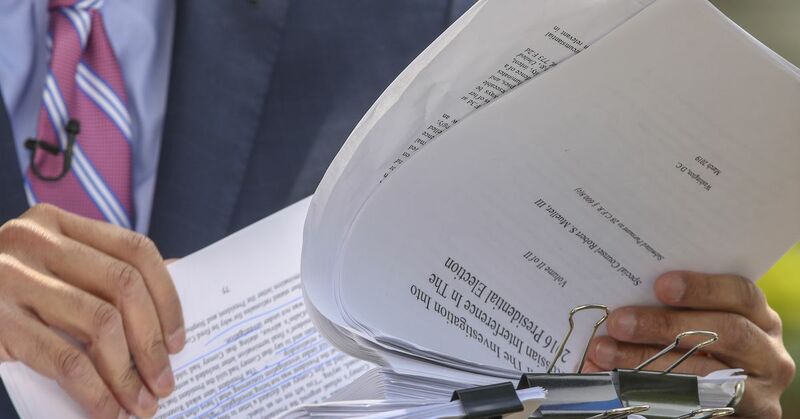 Some of the investigators believe Barr should have included more information and details from the 400-page report in the summary released at the end of last month. Does it actually matter? I mean, once the report is disclosed to both the public and Congress, we will all see what the report really says. No-one actually believed that Barr said the whole truth about what can be found in the report, you could even tell by the comparison to more than 400 pages altogether and a four-pages summary. Every book of half the length required more than four pages to properly summarise the content. Barr's defense of Trump was weak, barely exonerating. 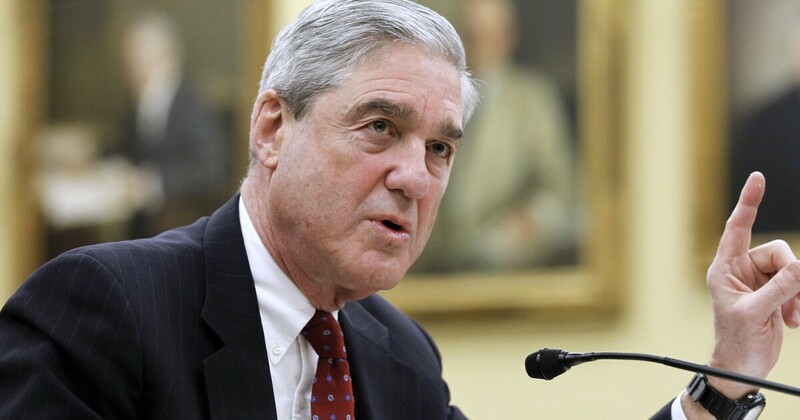 Some of special counsel Robert Mueller’s investigators are reportedly frustrated over Attorney General William Barr’s summary of Mueller’s investigation, saying the findings in the actual report are more troubling for President Trump than Barr suggested. Does such an ineffective stunt not play sweetly into the man’s manipulative hands? How does this help media in their ongoing death struggle for influence, relevance and financial stability in a turbulent era of change? Or the country, for that matter? This quote, combined with the previous sentence of more then 300 newspapers simultaneously publishing columns and what-not critical of Trump were all prepared, so that they would all come at once. But this simply did not happen, or at least, it is unknown to the public whether there were any conspiratorial meetings that took place and led to this strange coincidence. Sometimes, you are unable to write something positive of a man becaues there is nothing positive left about him, or on him. Trump didn't do himself a favour when he constantly behaved like a five-year old with a temper tantrum, attacking not only the free press but also the opposition. Shortly after the Mueller report was handed over to Mr. Barr, he almost threatened the Democrats' safety, admitting that they would soon experience the consequences of executing their job as it was expected. Does this sound like a president of a Democratic nation? I don't believe so. Every day, hour after hour, these paid “contributors,” some once-respected intelligence professionals, manipulated people’s fears with false conspiracy theories and hypotheticals the same as — oh, look! — the very man they were targeting. 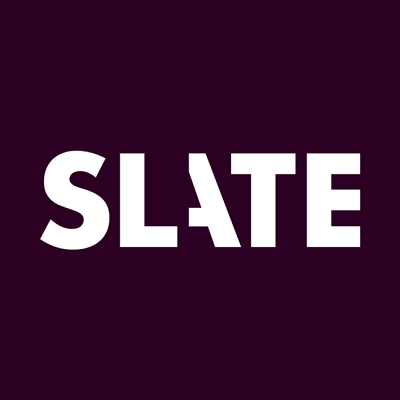 And these outlets were handsomely rewarded for such suspicious suspicions with viewer ratings and online clicks, sending much of the country into a spiral of distrust. My main theory is, besides a visceral Eastern dislike for such a carnival barker, they are intellectually incapable of comprehending a presidential victory by such a person. No winning to see where no winning exists. Of course the right-wingers who approve of any kind of deregulation and destructuring will see a winner in him, nonetheless and I will leave it to them, but as a left-winger who expects a certain range of decency from the highest person in the state, you simply see a douchebag who doesn't have a clue of how the government works. He doesn't know how the job works, what has to be done in times like these, and he only works towards the hate. He never left the television appearance, he never grew some respect for neither the position, nor the opposition, nor the importance of what has to be done. 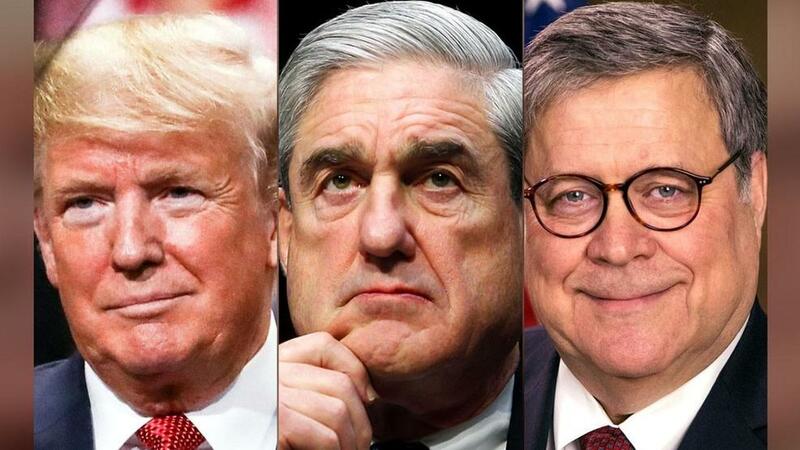 With Mueller report finished, will Trump critics finally admit they were wrong? 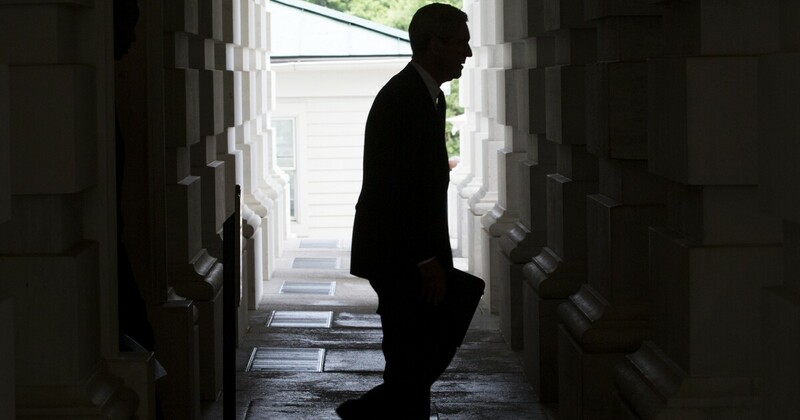 Robert Mueller, the prosecutor, is the only one who emerges clean. He did his job with professional focus and silence and disdain for the distracting sideshows. Congressional Democrats are right to demand the full report – but they are wrong to ask the attorney general to violate the law. Instead, they should learn from the lessons of Watergate and the example of Special Prosecutor Leon Jaworski and House Judiciary Chair Peter Rodino. They should demand the full report but only for their own use. They should use it as a road map for their own investigation. And they should not wait. Per Haldeman, all Chairman Nadler needs is a subpoena. He should not wait. He should get his hands on the report and all the underlying evidence — as his predecessor Rodino did — and start his investigative work. And he needs to do so now, in anticipation of a court battle. Congressional Democrats should accept this imperfect result. There are good reasons why grand jury proceedings and intelligence activities are generally shielded from full public view — to promote candor, stealth and speed, and to protect both the innocent and the guilty until the time to strike. Let Barr redact the Mueller report for public review — a bowdlerized document that will doubtless leave more questions than answers, but at least will be public. The House Judiciary Committee will also vote to authorize subpoenas for five former White House staffers — Don McGahn, Steve Bannon, Hope Hicks, Reince Priebus and Ann Donaldson — whom Nadler says may have received documents from the White House relevant to the special counsel's probe and the committee's investigation that would waive executive privilege. "We require the report, first, because Congress, not the attorney general, has a duty under the Constitution to determine whether wrongdoing has occurred. The special counsel declined to make a 'traditional prosecutorial judgment' on the question of obstruction, but it is not the attorney general's job to step in and substitute his judgment for the special counsel's." 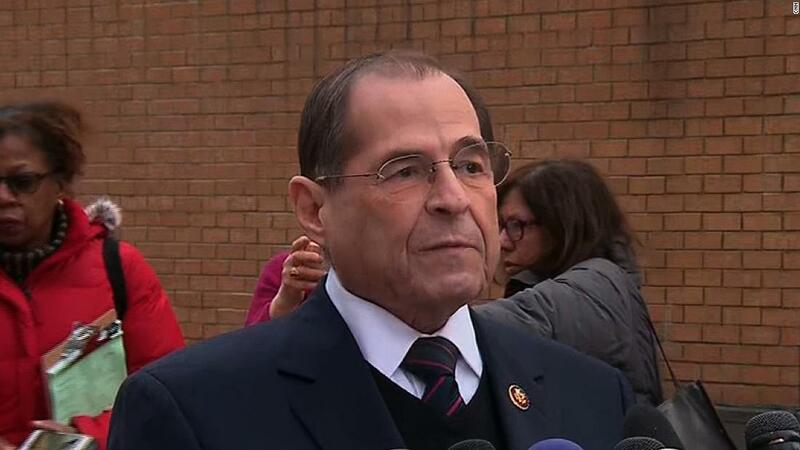 House Judiciary Chairman Jerry Nadler will authorize a subpoena this week to obtain the full, unredacted report from special counsel Robert Mueller, teeing up a showdown between congressional Democrats and the Trump administration over the nearly 400-page report. Trump really only hires people who overly simplify an actually complicated system, or who mess it all up so that an entire country has to feel ashamed of those who are paid much more than they should be, because they behave like mentally deranged simpleton who could be outsmarted by four-graders with a stable C-. Only about a third of Americans believe, from what they've seen or heard about the Mueller investigation so far, that President Drumpf is clear of any wrongdoing. But they are split on how far Democrats should go in investigating him going forward. At the same time, 56 percent said Mueller conducted a fair investigation, and 51 percent said they were satisfied with it. That included 52 percent of independents who said they were satisfied with the investigation. It's one of the rare questions in the first two years of the Drumpf presidency in which a majority of independents sided with Republicans instead of Democrats on a subject. In this poll, Drumpf's approval rating is 42 percent. That's up slightly (but within the margin of error) from January, when it was 39 percent and unchanged from December. At a time when virtually everyone in American political life was associated either with Team Red or Team Blue, Rosenstein appeared to be one of the few figures with bipartisan bona fides. Rosenstein drafted a letter recommending that Drumpf terminate Comey for the FBI chief’s mishandling of the Hillary Clinton email inquiry. It was perhaps a plausible cover story—if only Drumpf could stick to the script. The letter lent a veneer of legitimacy to Drumpf’s firing of Comey—a move that, when its true motives were laid bare, looked to many like a textbook example of obstruction of justice. Perhaps it did not occur to Rosenstein that others would see his letter as the primary element in a not-so-elaborate cover-up, and that Rosenstein might be making himself an accessory to a crime. Shortly after Barr released his summary letter, President Drumpf tweeted, “No Collusion, No Obstruction, Complete and Total EXONERATION. KEEP AMERICA GREAT!” This is a deeply troubling response and one that should give every American pause. What is the public to make of the president’s claim, on the one hand, that the Mueller report offers “complete and total exoneration” of collusion with Russian and his consistent claim for nearly two years, on the other hand, that the Mueller investigation is a “witch hunt,” “hoax” and “illegal”? These two positions are utterly unreconcilable. Tell it to him, not to us. We all know that he distorts reality as it pleases to him. He's a liar, a cheater, a con man, an immature manbaby. Trump now risks being viewed as illegitimate because he received considerable — if uncoordinated — assistance from the Russian government. Rudy Giuliani, one of President Drumpf’s personal attorneys, told host Eric Bolling the president’s legal team was “very, very pleased” with the outcome. Giuliani, who served as a surrogate during Drumpf’s campaign said “nothing could be more absurd” than the allegation that Drumpf was working with Russia in 2016. President Drumpf said Monday it would not bother him if the full report is released, but he is leaving the decision up to Barr. 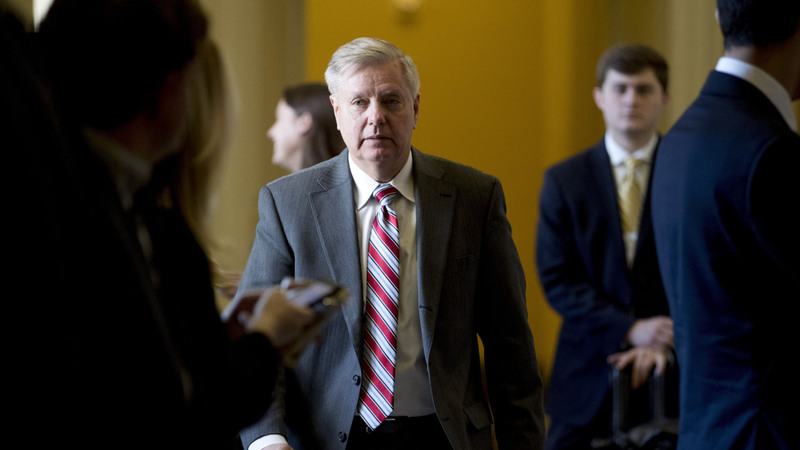 Senate Judiciary Committee Chairman Lindsey Graham, R-S.C., told reporters Tuesday Barr expects to have some version of Mueller’s report available to the public within weeks, but the White House may make redactions citing executive privilege. bsent overwhelming, bipartisan consensus that the President is unfit to serve, the way to remove them is through the ballot box. Relatedly, as I have noted repeatedly through the process, I’m highly skeptical of independent counsel system and the massive fishing expeditions that they invite. Not only are innocents invariably caught up in the fishing net but it leads naturally to a criminalization of politics. But the fact that they did not find sufficient evidence to warrant charging Drumpf or his top advisors with conspiracy or the President with obstruction of justice by no means exculpates them. We must, after all, hold our leaders to a higher standard than not having committed provable felonies. 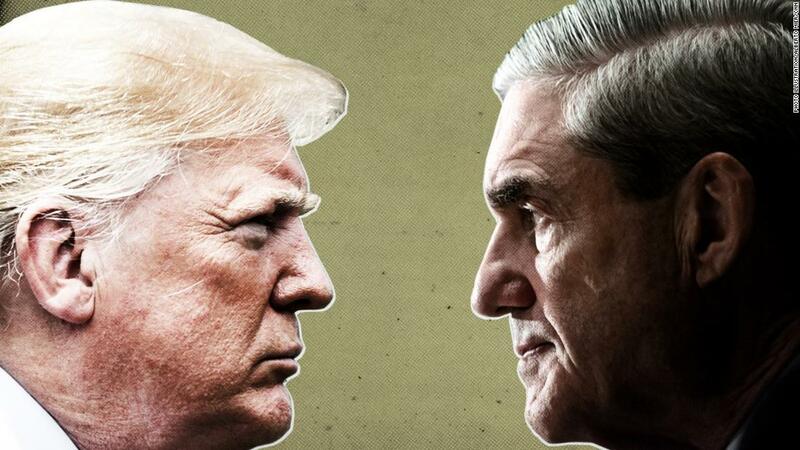 Although special counsel Robert Mueller’s investigation is now complete and the question of whether President Donald Trump’s 2016 campaign colluded with the Russian government appears to be settled, new political and legal battles are already underway on Capitol Hill and across America. "It was a complete and total exoneration," Drumpf told reporters just before he boarded Air Force One to return to Washington from his Mar-a-Lago resort in Florida. "No collusion, no obstruction." There was no mention in that email of how the “very high level and sensitive information” was obtained, legally or illegally, or what kind of information the “official documents” contained. Nadler said that Drumpf Jr. and Manafort “thought” they would “receive stolen information” from the DNC because “[t]hat’s the way the email inviting them to the meeting put it.” We can’t say what Drumpf Jr. or Manafort were thinking at the time, but the email did not say anything about stolen information from the DNC. I am not going to quote any parts of it. Just read it in full length, as it has been embedded in the article itself, as well as disclosed in plain text within the article itself. "I don't think Republicans or any American should be celebrating anything to do with Mueller. Okay? It's fine. He's not going to indict anymore people. There are a whole bunch of indictments that are awful. What happened to these people is terrible," Nunes, R-Calif, said Saturday evening on Fox News. "We need to see the origins of this investigation. We don't even know what Robert Mueller was supposed to be looking at." Ehh... Yes we know - he was supposed to investigate Donald Trump's campaign to tell us whether there are any evidences towards a Russian meddling in his favour. This was clear from the very beginning of his investigation, I don't know where you lived hitherto. Maybe we should ask your cow, your skin, or your Alt-Mom. The classified scope memorandum was issued by Deputy Attorney Rod Rosenstein in August 2017, months after he appointed Mueller to lead the Russia investigation without citing a crime. A heavily redacted version of the August memo has already been released to the public. Allies of President Drumpf, including Nunes, have called for full disclosure of that memo, as well as of documents related to investigatory efforts looking into Drumpf's inner circle, including FISA warrants that targeted onetime campaign aide Carter Page. 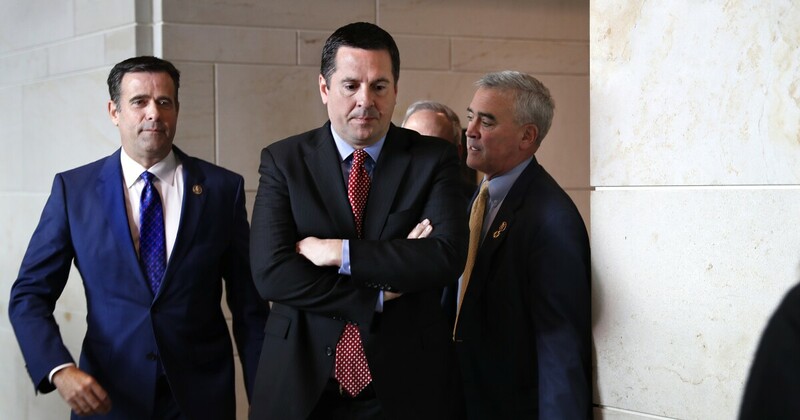 Upon the submission of Mueller's report, Nunes declared Friday it was the beginning of "the unraveling of the biggest scandal in American history, the biggest political scandal in American history." On Saturday, Nunes teased his soon-to-be submitted criminal referrals and reiterated his faith in Barr to clean house at the DOJ and FBI. Do politiicans who speak of the biggest/greatest [...] in American history even know about the full scale of American history? I doubt that, because people are mostly on side with Trump and tend to exaggerate hilariously. Rep. Devin Nunes isn't celebrating special counsel Robert Mueller's submission of his final report to the Justice Department. I care only that the work be done, well and completely. If it is, justice will have prevailed and core American values will have been protected at a time when so much of our national leadership has abandoned its commitment to truth and the rule of law. I do have one hope that I should confess. I hope that Mr. Drumpf is not impeached and removed from office before the end of his term. I don’t mean that Congress shouldn’t move ahead with the process of impeachment governed by our Constitution, if Congress thinks the provable facts are there. I just hope it doesn’t. Because if Mr. Drumpf were removed from office by Congress, a significant portion of this country would see this as a coup, and it would drive those people farther from the common center of American life, more deeply fracturing our country. Why did Trump randomly switch to let the Mueller report happen? Indeed, once he returned from Ohio Wednesday night, Drumpf tweeted some commentary from Fox News: "'The reason we have the Special Counsel investigation is that James Comey (a dirty cop) leaked his memos to a friend, who leaked them to the press, on purpose.' @KennedyNation Totally illegal!" But it's hard to take his comment seriously, partly because it recalls his frequent statements that he'd love to sit down in an interview with Mueller, an offer that never appears to have been taken seriously by his lawyers. Scrubbing the report for executive privilege claims is well within the purview of the White House counsel's office -- after all, their charge is to defend the institution of the presidency, not the individual President they serve. Also, don't forget that Mr. Mueller demanded an extension of eleven days to the hitherto predicted date of release, March 26. The DOJ itself didn't mention a certain date of release as well, so we are still unknowing about when he will be ready. Donald Trump, the President who refused to release his tax returns, just made an unexpected gesture towards transparency, saying he'd be happy for Americans to see Robert Mueller's final report. I also want an FBI report on Ivanka's mails, just saying... I'm justm aking a political point myself as well. When the resolution got to the Senate, Graham “asked to amend the resolution to include the appointment of a new special counsel to investigate the F.B.I.’s handling of the Hillary Clinton email case and its surveillance of a former Drumpf adviser,” the Times reports. Schumer rejected Graham’s request “and the resolution failed,” according to the newspaper. Senator Lindsey Graham stopped a bill that would require the release of the Robert Mueller investigation into Donald Trump because he wants the FBI to release information about the Hillary Clinton campaign. For months now, rumors have been rampant that Mueller’s final report and the conclusion of his work are imminent. Some top attorneys on his team are leaving, and his top FBI agent has already left. All the specific predictions about when, exactly, the report would be done have turned out to be wrong so far, but all things must come to an end eventually. The lawyers referenced are Michael Dreeben and Adam Jed. But it’s unclear what they’re busy with at the moment. There are no imminent deadlines in Roger Stone’s case, or the two appeals from a Stone associate and a mystery company. There’s a March 25 deadline in the Russian troll farm case, but Dreeben and Jed don’t appear to be involved in that filing. Does a request for an extension on a court deadline give us a clue about Mueller’s plans? This really is a weak lining, pure clickbait in favour of Trump. Whoever wrote this should be whacked in the face. Did they recruit sociology freshmen for their poll, or why does this entire thing appear so scrappy? For God's sake, even I would've done a better job than them, and I'm not even into polling in general. At least they give Trump a lot of acceleration for his Twitter feed. 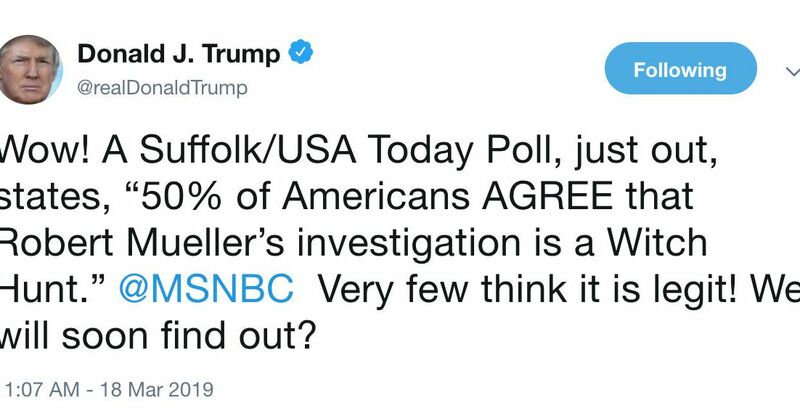 Trump uses bad poll question to claim half of America thinks Mueller’s on a "witch hunt"
The president capitalizes on a poorly framed question in an outlier poll. McCain was a frequent critic of Drumpf and rescinded his endorsement during the 2016 general election following lewd comments Drumpf made on an "Access Hollywood" video that resurfaced late in the campaign. President Trump took aim at late Sen. John McCain (R-Ariz.) on Twitter on Saturday for his vote against the GOP Senate majority during the Republican attempt to repeal Obamacare in 2017. “A vote for this resolution will send a clear signal to both the American people and to the Department of Justice that Congress believes transparency is a fundamental principle necessary to ensure that government remains accountable to the public,” said House Judiciary Committee Chairman Jerry Nadler (D-N.Y.), the lead sponsor of the effort. Democrats have argued that the only acceptable redactions are grand jury material, classified information, and national security sources and methods. 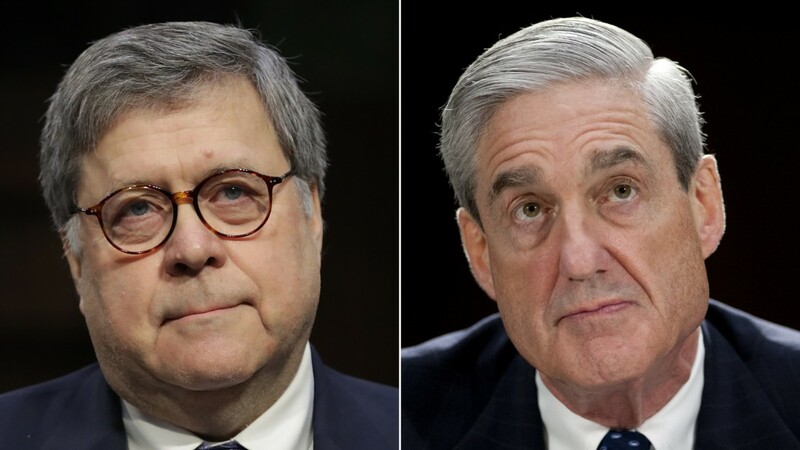 Republicans have largely deferred to Barr’s judgment, but they have publicly backed the idea that Mueller’s report should be released given the overwhelming public interest in it. 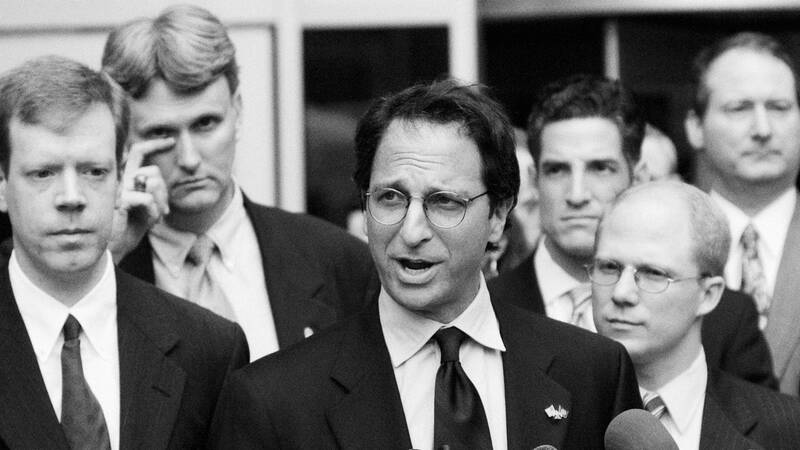 Weissmann had been the top prosecutor in that case, which resulted in Manafort’s conviction on eight counts of tax and bank fraud in Virginia last August, and a guilty plea to several other charges in Washington, D.C., a month later. Judge T.S. Ellis sentenced Manafort to a mere 47 months in prison on the first slate of charges, sparking outrage among many who said he had been let off too easy. Most recently, CNN reported that Mueller would hand in his report “as early as next week” . . . more than three weeks ago. Still, what has his resignation got to do with the soon end of the report? Is he going to lose his job, has he been hired temporarily, to spearhead this investigation? The special counsel’s No. 2 is packing his bags for a new job at N.Y.U. A new firestorm erupted over disputed assertions that ex-acting Attorney General Matt Whitaker did not deny in a closed congressional meeting that he had spoken with President Donald Drumpf about a case involving Drumpf's ex-lawyer Michael Cohen. But equally there is no proven direct evidence of collusion by the President from any of the multiple investigations that are swirling around his White House and are now digging deep into his personal and business affairs as well as the 2016 campaign. At best, such a conversation would appear inappropriate and unethical since the President is the country's top law enforcement officer. At worst it could again raise suggestions that Drumpf may have obstructed justice, in addition to possible past examples of such behavior being investigated by Mueller. It would be hard to think of a more damaging day for a President than one on which his former campaign chairman disappeared behind bars for years to come. But Paul Manafort's new sentence was the least of Donald Trump's worries Wednesday as his Russia investigation nightmare took yet another turn for the worse. Each charge carried a maximum of five years. But Judge Jackson noted that one count was closely tied to the same bank and tax fraud scheme that a federal judge in Virginia had sentenced Mr. Manafort for last week. Under sentencing guidelines, she said, those punishments should largely overlap, not be piled on top of each other. Mr. Manafort was also expected to get credit for the nine months he has already spent in jail. Soon after the additional sentence was handed down, Mr. Manafort was charged in state court in New York with mortgage fraud and more than a dozen other felonies, an effort to ensure he will still face prison time if Mr. Drumpf pardons him for his federal crimes. Much of the legal world considered the sentencing guidelines in the Virginia case, which called for a prison term of 19 to 24 years, far too harsh. But some public defenders and former prosecutors said a 47-month sentence exemplified the sentencing disparities in a criminal justice system that favors wealthy, white-collar criminals. The country is already helplessly divided, and nothing would change if you impeached it. 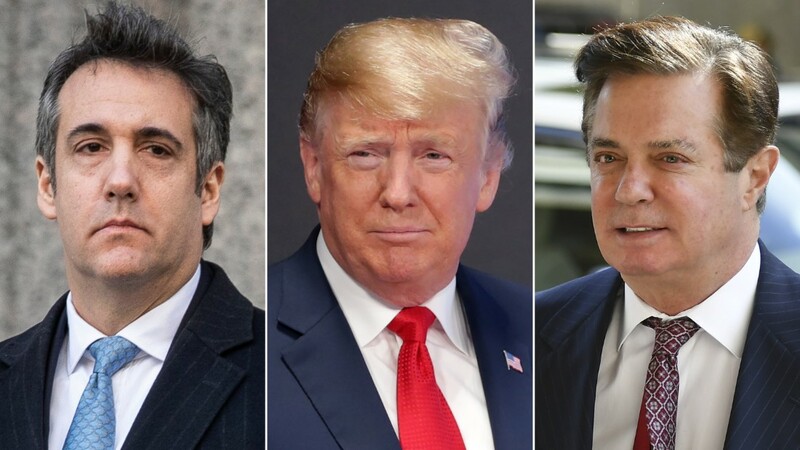 This doesn't have to be a question of partisanship, it has to be a question of whether there is hard evidence that shows us whether Trump has committed a crime himself or only hired stooges to commit the crimes for him. Then, the question is whether he ordered these crimes to be executed, like a mobster. There is no ethics behind it, just hard evidence and the laws by the book. 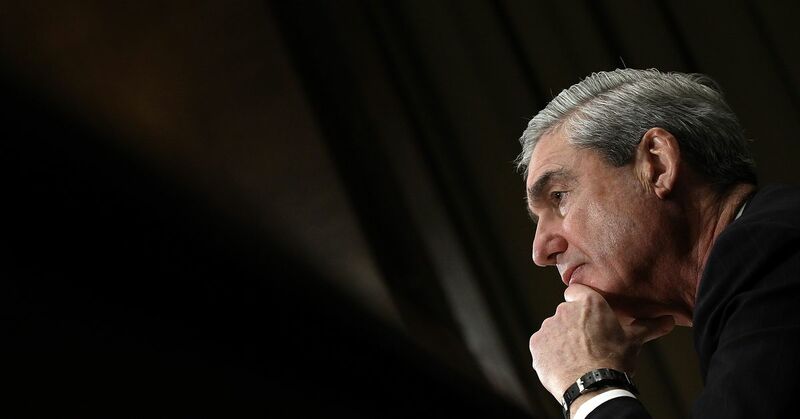 Mueller is expected to send a report soon to the US attorney general, William Barr, outlining his findings, and any evidence of wrongdoing could prompt Congress to take action against the president. Several panels in the Democratic-controlled House of Representatives are also investigating the president. 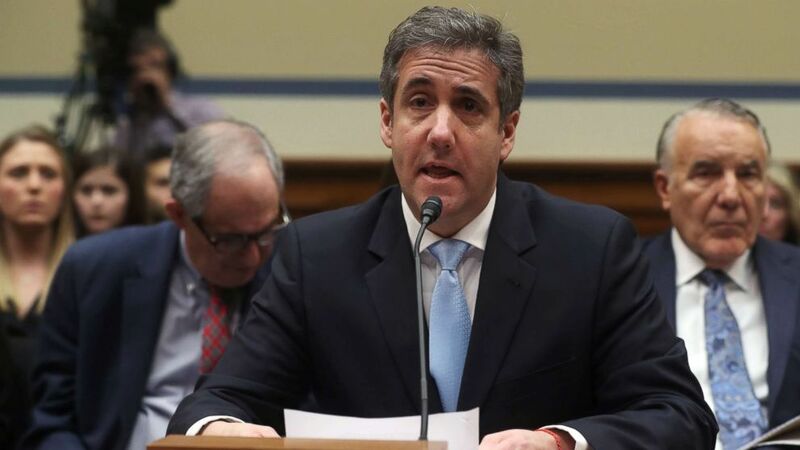 “Reading for the first time the New Introduction, while waiting for a plane back to Fort Lauderdale, brought the issue home and led to the Motion to Clarify,” wrote Rogow and other lawyers defending Stone against false-statement and witness-tampering charge. “How many do you plan to print?--there is GLUT of books like this,” Stone wrote. The publisher wound up printing about 13,000 to 14,000 copies, according to the emails. Drumpf has also encouraged it when his advisers or legal team have made public statements bashing the feds’ treatment of Manafort. “It’s good you got them [in the press] asking questions about Paul,” the president said last year to his lawyer Rudy Giuliani following one of Giuliani’s media appearances, according to two sources familiar with the comment. Manafort is facing a tough judge, and a possible 10-year sentence. But his perils have produced one potential advantage: the increasing sympathies of the man who could pardon him. Manafort, who used his illicit fortune to pay for expensive homes and suits, arrived to hear his sentence in a green jail jumpsuit emblazoned on the back with the words "Alexandria inmate." He entered a packed federal courtroom outside Washington in a wheelchair, appearing thin, his hair grayer and holding a cane. Speaking from his wheelchair because he struggled to stand, Manafort referred repeatedly to his time in solitary confinement waiting to hear his sentence as "painful" and as a “time to reflect on my life and my choices." He said the past two years "have been the most difficult that my family and I have experienced." By the start of the 2016 Presidential campaign, though, he’d gone bust, his lucrative business and his extravagant life wrecked by the downfall of his patron, the Ukrainian leader Viktor Yanukovych. In a Hail Mary attempt at a comeback, he sought out a new client—Donald Drumpf—and offered up his services. is lawyers are not on television. He did cut a deal with Robert Mueller, the special counsel investigating the Russia case—a deal made because he had information that Mueller wanted—only to have it voided last month, for lying. There are questions about Manafort’s handling of polling information and about the money he is said to have owed the Russian oligarch Oleg Deripaska. In an otherwise blameless life, he helped the Philippine President Ferdinand Marcos bolster his image in Washington after he assassinated his primary political opponent. He had devoted his career to normalizing corruption in Washington. By the time he was caught, his extraordinary avarice had become so commonplace, that not even a federal judge could blame him for it. Manafort was also ordered to pay a $50,000 fine and restitution of just over $24m, and the judge noted that time already served would be subtracted from the 47-month sentence. The House passed a Democratic resolution condemning antisemitism, Islamophobia and other expressions of bigotry after congresswoman Ilhan Omar sparked backlash for her comments about Israel. Omar voted for the resolution and noted it was the first time in US history that Congress passed a measure condemning anti-Muslim bigotry. By dismissing the case, the judge essentially gave Daniels what she wanted all along -- to be able to tell her story without the fear of being sued for millions of dollars, Avenatti said. 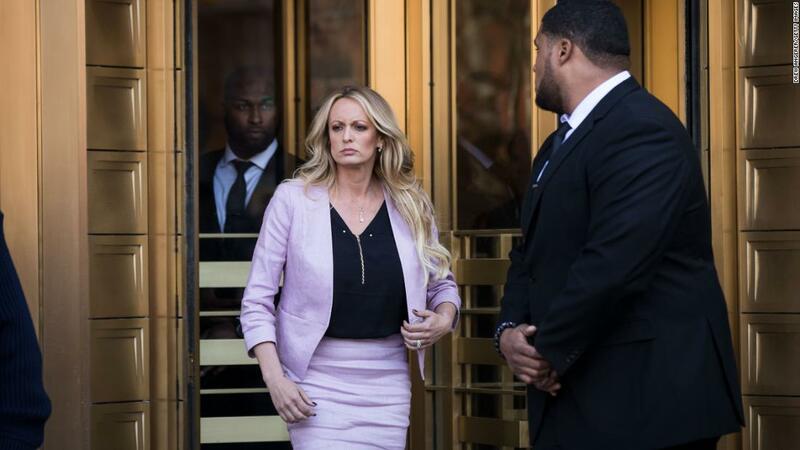 At the time, Daniels had agreed to tell her story to In Touch magazine for $15,000, but two sources told "60 Minutes" that the deal fell through because Cohen threatened to sue the publication. Daniels said she never got paid. "Clifford's attorney would claim victory if he got run over by a bus," added Brent Blakely, Cohen's attorney. "Clifford has lost every argument in these lawsuits since day one -- her defamation cases have been dismissed and now the Court has granted EC's motion regarding subject matter jurisdiction." A lawsuit by adult film star Stormy Daniels against President Donald Trump over a non-disparagement agreement has been tossed out of federal court. 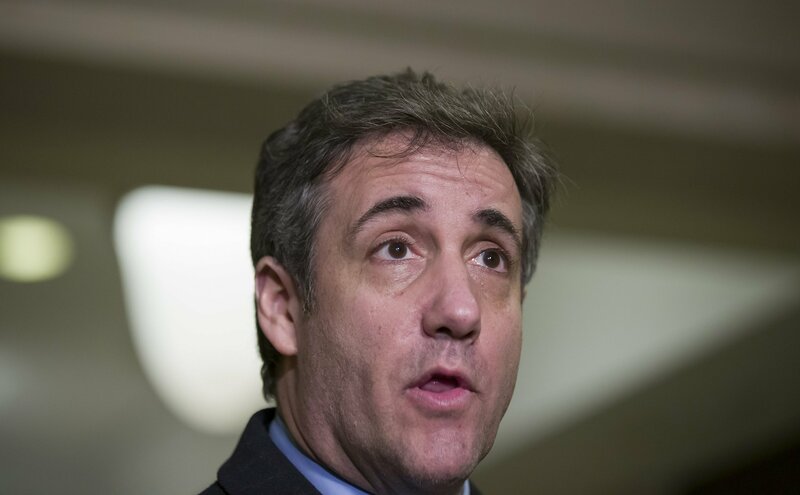 Cohen asked his attorney at the time, Stephen Ryan, to meet with Rudy Giuliani about the possibility of a pardon shortly after an FBI raid on his home and offices in the early summer of 2018, Davis said. And now, he wouldn't even take one if he was granted one. Interesting turn of interests. "But the sentence was also literally true," Davis argued. " [Cohen]never asked President Drumpf for a pardon. His lawyer explored the disingenuous 'dangle' repeatedly floated by Rudy and Drumpf in one meeting and never followed up." A White House representative did not immediately respond to a request for comment. U.S. Attorney General William Barr confirmed the plan in a statement, adding that he had recommended Liu for the post. Now, is this good or bad, or ugly? At the time of her exit, she was next in the line of succession to Deputy Attorney General Rod Rosenstein for oversight of Special Counsel Robert Mueller’s investigation into potential collusion between Drumpf’s 2016 presidential campaign and Russia. It has taken the lead on handling Mueller’s criminal case against former Drumpf political adviser Roger Stone, and convened a grand jury to investigate whether former FBI Deputy Director Andrew McCabe should face criminal charges for lying to investigators about his interactions with reporters. In a speech that lasted more than two hours — his longest since taking office two years ago — Drumpf also vented about Democrats, a proposed “green new deal,” illegal immigrants and criticism of his North Korea summit, while voicing optimism about his own re-election prospects in 2020. You see - the only time he is able to hold a speech of an appropriate length (meaning a speech that lasts as long as I expect a real president to be like) is when he starts a tirade about someone he clearly dislikes. Otherwise, he can't hold a speech that is about one hour long and doesn't include anything that has to be fact-checked before or after. “We’re waiting for a report by people who weren’t elected,” Drumpf said of the Mueller report, which is widely expected to be handed over to Attorney General William Barr in the coming days. That's because a special counsel is not elected but employed by the DOJ. And you chose your attorney general, who employs a deputy. Idiot. You don't even know how your job works but dare to talk about it. You're a national embarassment. An international, even. Drumpf also mocked the Southern accent of Sessions and criticized him for recusing himself from the Russia probe. In November, Drumpf fired Sessions, a former U.S. senator from Alabama who was among the first Republican lawmakers to back Drumpf’s presidential bid. An embarassment, as I said. An accent is not chosen but is adapted by people who live in a certain environment. That's natural, unlike your artificial skin colour. And also, even though Mr. Sessions spoke with a Southern accent, he at least was able to hold coherent speeches without any insults, but with a certain kind of style. You, on the other hand, apply the vocabulary capability of a third grader, with dyslexic tendencies. I wouldn't be proud of that if I were you. Pre-order your Mueller report book now! Booksellers can promote pre-orders of these titles through their stores; visit BookWeb.org to learn more about promoting pre-orders. Customers can place pre-orders now for two upcoming titles featuring the report on Special Counsel Robert Mueller III’s investigation into Russian influence on the 2016 election of Donald Trump.